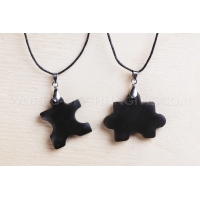 The pendant for the shungite stone influence on the whole body by constant wearing it. 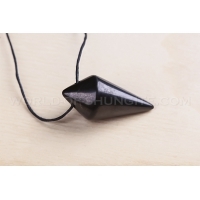 The shungite pendant helps to equalize and to regulate the overall energy background. A piece of shungite normalizes streaming of nervous process in human bodies, increases working capacity and nervous stability. Shungite pendants are helpful in thyroid gland diseases, vegetative vascular dystonia and reduced life tonus.